14k Gold-filled Hook and Eye - Small. 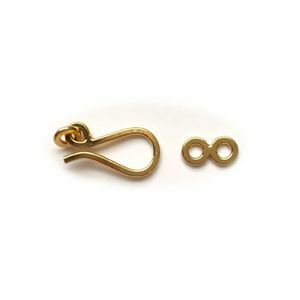 Hook measures approximately 13mm x 7mm. Connector is a Figure 8, and measures approximately 8mm.